We are a leading Manufacturer of kettle inner from Delhi, India. 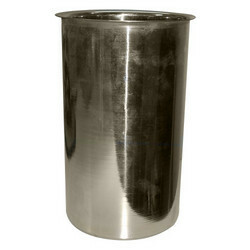 We offer a wide range of Kettle Inner which is made from best quality material. These are highly demanded due their outstanding finish and well-built construction. These kettle liners are used in canteens, hotels and homes etc. These products are exclusive in various designs and shapes based on the requirement of the client. Packaging Details: packed in bags with polythene on each piece.